The environmental sector is one of the fastest growing sectors in Canada. Hiring recent college and university graduates continues to be one of the largest contributing sources of answering the increased skills demand in the sector. 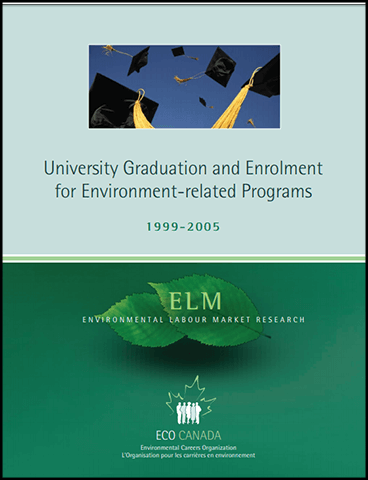 This report series examines enrolments and graduations from environment-related post-secondary programs of study.